If you’ve never teamed snakeskin with patent, or worn cobalt blue with baby pink, now’s the time. Often, some of the attendees at London Fashion Week leave us wondering if they got dressed in the dark for the shows, but the Irish fashion contingent really showed how to get just the right balance that works for off-duty cool this season. We've been following all the action through the minute-to-minute updates on Insta stories and have been glued to the respective Instagrams of Corina Gaffey, Joanna Cooper, Louise Cooney and Vogue Williams for outfit inspiration that walks that fash pack/normal person line. While the agenda of Fashion Weeks is still to dictate what we'll be wearing in a season's time, we always find ourselves more influenced by what the street style stars are sporting, rather than what graces the actual runway. More typically, it's the Scandi Cool-Girls or the French Insta-Set we feel compelled to give a mention, but this LFW the Irish fashion contingent, who were all in attendance for Paul Costello's show on Monday, totally held their own in the FROW. Joanna Cooper kept things classic in camel. Vogue Williams paid homage to the man of the hour, wearing Paul Costelloe. Sharp, saturated suiting from Corina Gaffey. Louise Cooney served up some palette-cleansing mint to round out her trip. Vogue in Rixo as styled by CG. And lastly, Nadia Forde in a dress that's half William Wallace, half Cinderella. Is there something in the water? This could be the end. 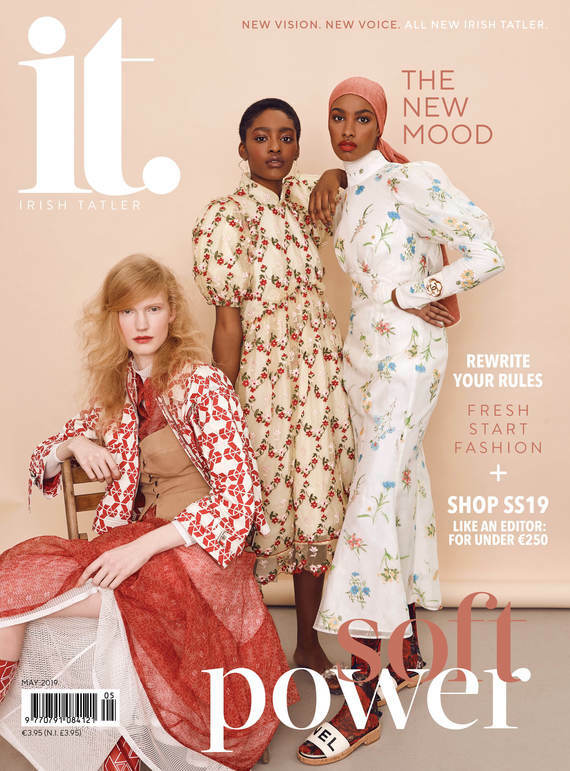 Irish Tatler is published by Irish Studio, Ireland's largest magazine publishing company.